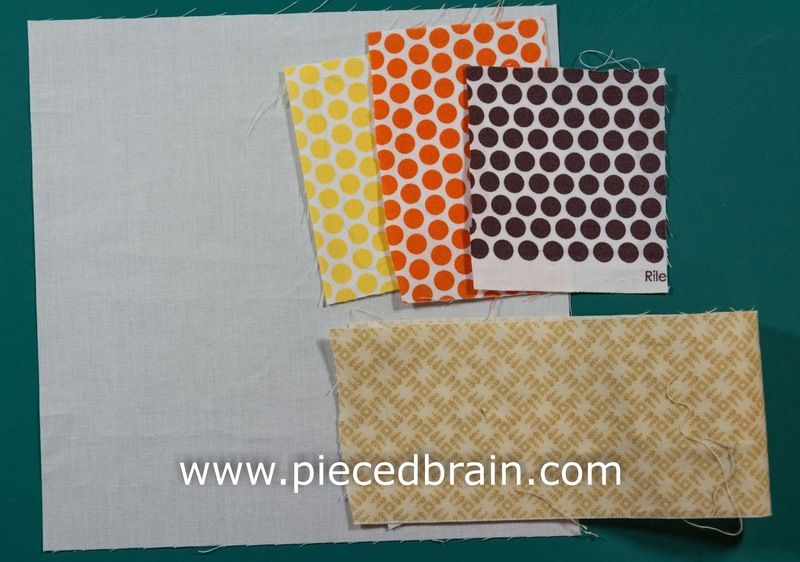 This block features Riley Blake Designs Honeycomb Dots in three colors. I think they are so fun! The background white is also by Riley Blake Designs. 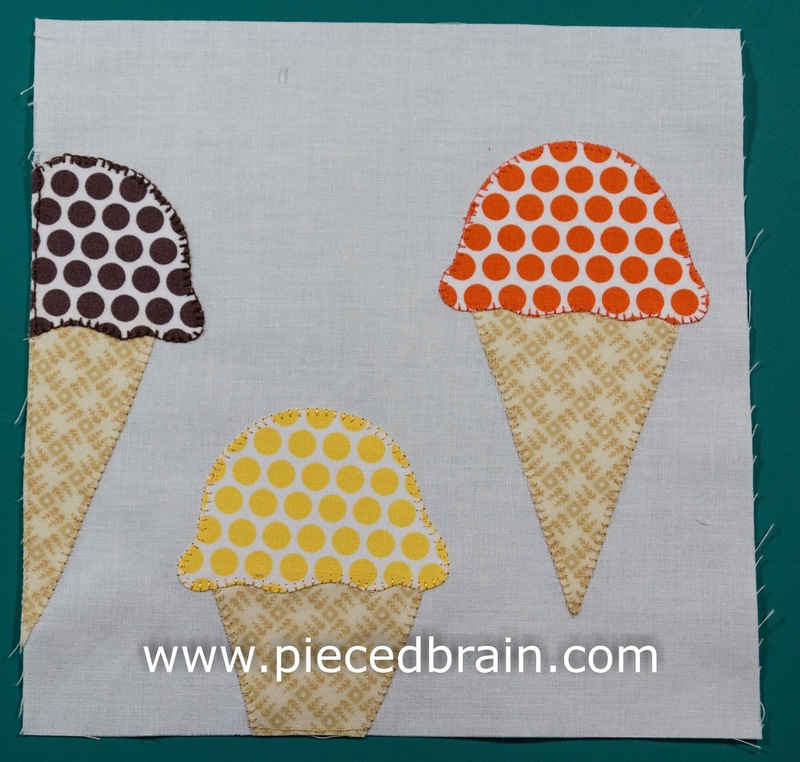 With the busy colors for the ice creams, I thought white would make the best backdrop for them. ... according to the photo above. 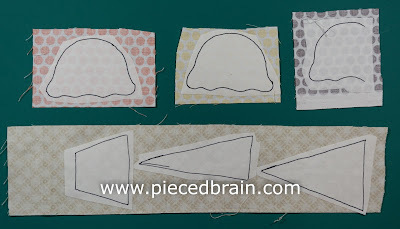 Machine applique' each shape with matching thread, and voila'! Super easy, and all that I could handle this week! Now, take a peek at Ann's blocks. She is slowly catching up with me! Gorgeous, huh? Her fabric choices are so cool! How are your blocks coming along? You can make them at your leisure - just be sure to send me pictures as you finish them or when the quilt is complete. 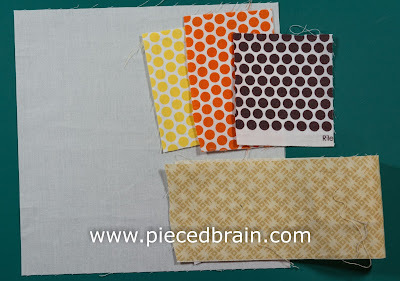 If you would like to join the sew along now you can find all the blocks with tutorials in the City Girl Sew Along page. 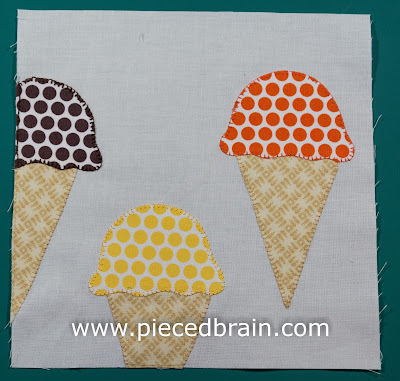 Those ice cream cones are so cute.